A contemporary and colourful pearl pendant by designer Sophie Breitmeyer featuring a white Akoya pearl suspended within a circle of green tsavorite garnets, set in 18 carat white gold. 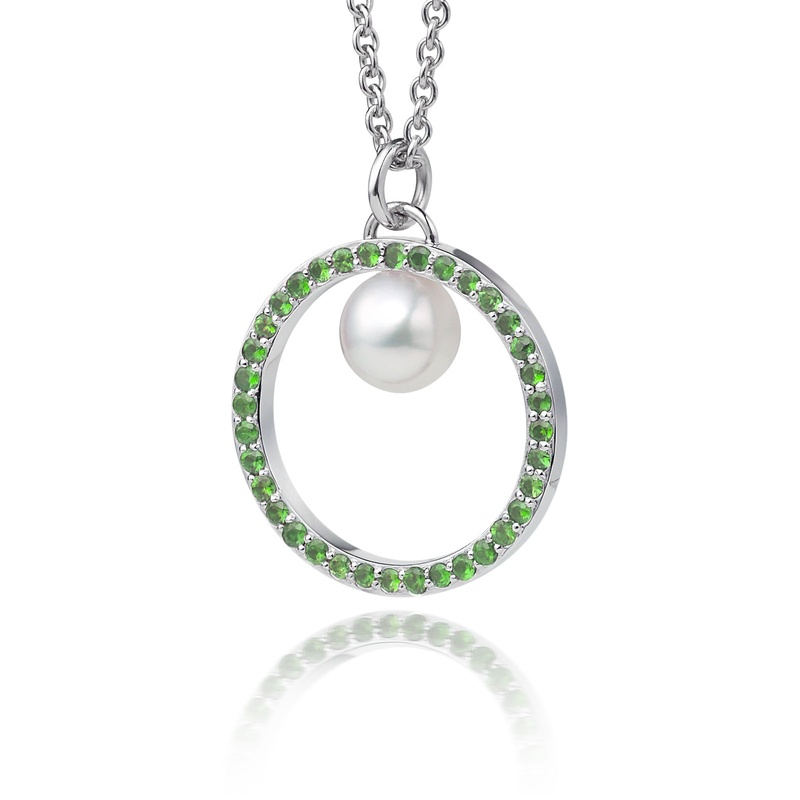 Inspired by two fashion trends combining vibrant block colour with classic pearls, this unique collection brings together matching pink, green and blue gemstones with an iconic round white pearl. The Akoya pearl was one of the first types of pearls to be cultured in Japan and is widely admired for its quality and lustre. 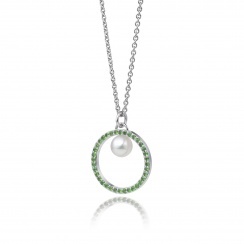 The 18 carat white gold pendant is approximately 2cm in diameter and has been designed to be able to rock slightly from side to side when worn allowing the tsavorite garnets to sparkle and catch the light. 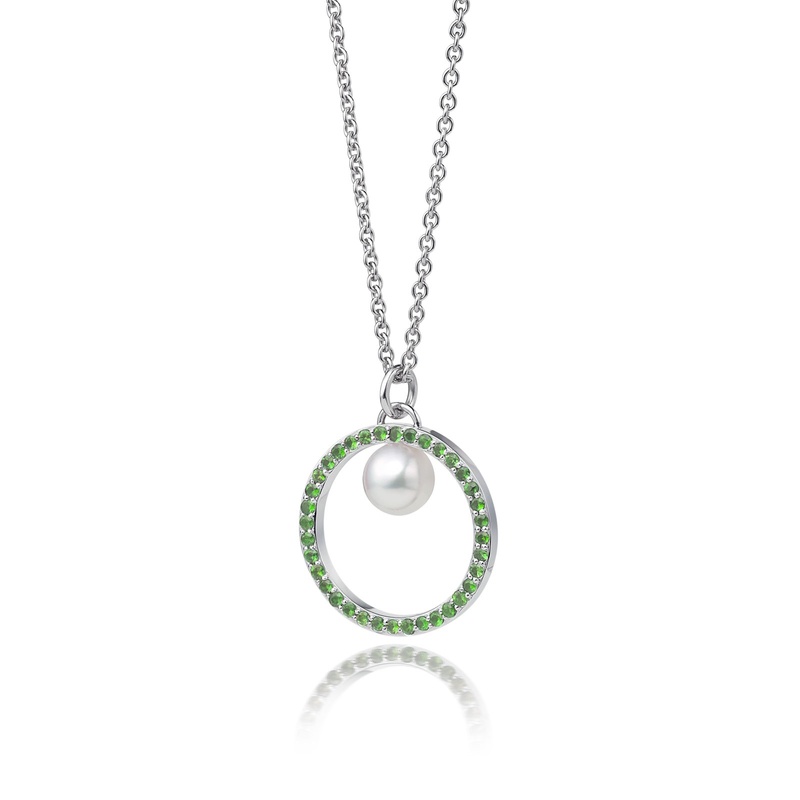 The pendant is finished with a superb 18 carat white gold trace chain, whose shape reflects the symmetry of the tsavorite garnet circle and the pearl. 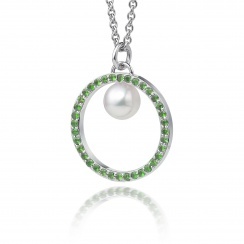 The chain for the pendant is 45cm in length. The collection has been designed and manufactured to the highest standards for Winterson in the UK. View Sophie Breitmeyer's collection for Winterson here.